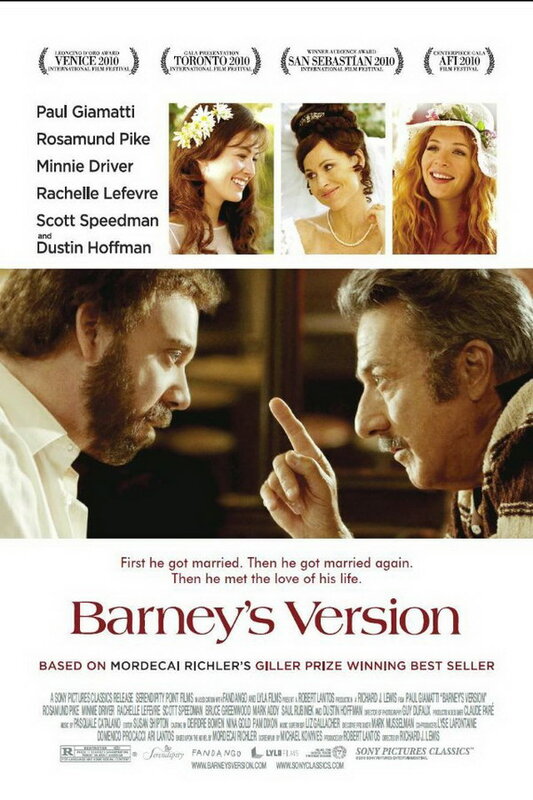 Barney’s Version is a 2010 Canadian comedy-drama film directed by Richard J. Lewis, based on the novel of the same name by Mordecai Richler. The font used for the movie title is probably Americana Bold designed by Richard Isbell in 1965. The typeface is characterized by its high cross strokes, open inner spaces and triangular serifs. It is now available in four weights, Regular, Italic, Bold and Extra Bold. You can view more details about it here. In addition to Barney’s Version, Americana typeface is also used in the following logos, movie posters or album covers etc., including: Before Sunset, Peculiar Children, The Babys, Coach USA, Dead Man Waltzing, Carnival Cruise Lines, Birth of a Warrior, Soundcraft Logo, Tokyo DisneySea.